From Val: Did you know that more people grieve their animal’s death harder and for a longer period of time than they do for their human family or friends? Many of my clients work with me to help prepare their animals and themselves for pending transition, to find peace, completion and closure afterward, and to reconnect in the afterlife. My dear friend Stacey Canfield, photographer to the Stars and founder of Soul Sitters, shared this remarkable story and I wanted to share it with you. I know you’ll find inspiration, hope and peace from it too. If you have ever lived closely with a pet, you have probably experienced how intuitive they are. We think we know them, to the point of anthropomorphizing; however, just when we think we’ve figured them out, the pet will do something beyond what humans think possible. Twelve years ago my husband and I adopted an abandoned cat from the Carlsbad Animal Shelter. We named her Moorea and when my Dad was in a rehab facility, I brought Moorea to visit him. I was amazed at how many residents in the facility were drawn like magnets to her. This prompted me to become a certified in pet-therapy and team with Moorea through our local Love on a Leash chapter. Moorea and I have been volunteering with San Diego Love on a Leash and The Elizabeth Hospice for seven years. Each visit has been unique and worthwhile, but when Moorea visits a hospice patient, the blessings are tenfold. Let me share a few examples with you. Our very first pet-visit with a dying patient was in a hospital setting. This elderly woman’s family had just that day placed their mother on hospice services. That is a difficult choice for family members. The patient and her adult children had always had cats and requested a cat-therapy visit. When Moorea and I got in the room, I could sense the tension and sadness of the situation, as well as the deep love. Seeing Moorea, each person in the room broke into smiles and laughter to see a cat in a hospital room. I placed Moorea on the mother’s bed. Moorea crept up to the woman’s side and then snuggled between her right arm and side, facing the door of the room. It was almost a protective position and that is where Moorea stayed for almost 3 hours while the adult children met with the hospice social worker. During that time, hospital staff came in with instruments to check the patients’ vital signs. This meant draping tubing and wires across Moorea’s back, but Moorea never budged. Then the cleaning staff came in to take out the plastic trash bag and replace it with a new one and they swept the floor. Again, Moorea never budged. Later the adult children came back to their mother’s bedside. They took many photos of Moorea snuggling with their Mom. I suggested they gather around the head of the bed so I could take a group photo with their mother. They demanded Moorea be in the picture so I retook the photo, not as close up because I had to get the cat-therapist in the shot. Moorea and I reluctantly left the bedside and I asked if they would like another visit the next morning, so we agreed on the time. The following morning, the door to our patient’s room was closed and a nurse was just coming out of the room. Our patient had died just a short time before we arrived. What a blessing to have shared my cat with this woman and her family on her last day on earth. And the photos I took of the family with Moorea were the first of many final-portraits I’ve taken of a loved one, smiling and cuddling a cat. A month later, our volunteer coordinator from The Elizabeth Hospice called to ask if we minded traveling further than we usually do to visit a 92-year old man whose dying wish was to pet a cat. How could I say no?! So the next day Moorea and I headed up to a senior facility where this gentleman had lived with his wife until she needed more care. He was living alone and had in-home nursing care round-the-clock. When we arrived, he was very thin and weak, lying in a hospital bed. He was almost too weak to speak, but nodded his head -yes- when I asked if he would like Moorea in his bed. A tiny, frail smile appeared on his gaunt face and his arm lifted a few inches so he could reach his hand to Moorea’s back and pet her soft calico fur. I sat back and just let Moorea and the gentleman bond, as she snuggled against his chest, warming his heart. As it turns out, with excellent care from hospice and a board-and-care facility where he later moved, Moorea and the man were able to spend many such hours together. Over time, he gained the strength to sit up in a wheel chair, sit on the couch to watch golf tournaments, and have Moorea drape across his lap. In fact, Moorea and I were present to celebrate his 93rd birthday with him and his housemates and staff a year later! Four months after his birthday, he passed away suddenly, too quickly for me to drive up in time to bring Moorea to his bedside, but I will never forget this stoic gentleman of few words, who always had lots of baby talk to whisper into his cat-therapist’s ear. It is difficult to select only a few examples of the miraculous connection Moorea makes with people, but please indulge me as I share one more. As Moorea and I age, carrying Moorea in my arms becomes more difficult, so I purchased a dark blue pet-stroller and push it down hospital halls. Even if a person doesn’t care for cats or isn’t up to a visit that day, Moorea will always earn a big smile because she looks so darn funny in that stroller! As I picked up Moorea from her stroller and put her near the patient, I asked, “Would you like a visit from my cat?” Immediately the woman opened her eyes, raised her arms, and made a sound. I placed Moorea gently on top of the covers on her chest and I heard the social worker exclaim,”I’ve never seen so much response from her! This is amazing!” We stayed for a short visit and returned the next week for a second visit, though the woman barely reacted that time but did know a cat was sharing her bed. The third week we returned, the patient had passed away. There are books about other pet-therapists. They are more common than you may think. 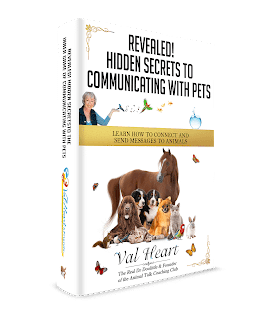 Have you had an experience with an animal Soul Sitter? We’d love to read your story.